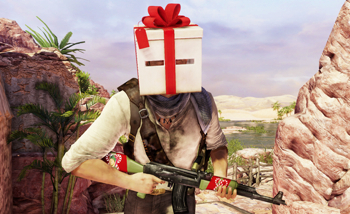 Naughty Dog adds some seasonal goodies for a limited time. If you just can't pick what game to spend time with over the upcoming long weekend, Naughty Dog is doing its best to lure you back to Uncharted 3. The title's multiplayer component currently has some festive free goodies enabled, but only until January 8, 2013. The holiday flair includes some new costume items such as an elf and candy cane t-shirt, and a new "Present Head" hat that turns your character's dome into a neatly-wrapped package. 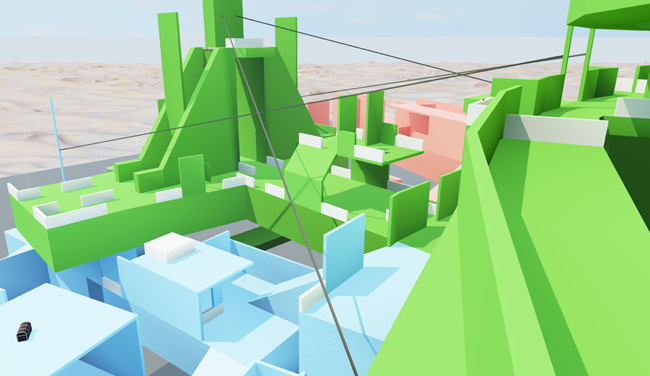 But it's not all about seasonal items this time around; A new "Block Mesh Lab" map has been added to the playlist. The map - which was designed by former Naughty Dog employee, now USC professor Richard Lemarchand - consists of a completely untextured landscape, offering a nice behind-the-scenes feel to the combat.